THOUGHTSKOTO Thoughtskoto : Do You Know That Your New NBI Clearance Will Be Now Multi-Purpose? Do You Know That Your New NBI Clearance Will Be Now Multi-Purpose? 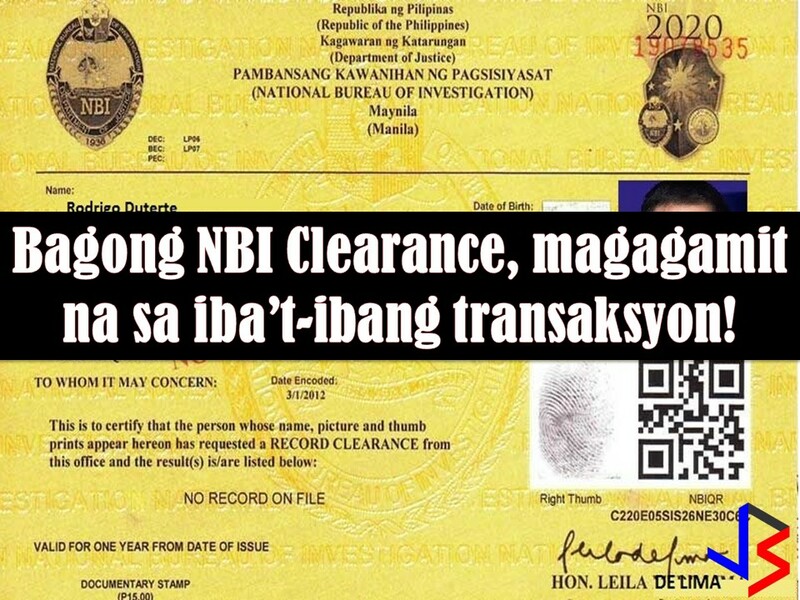 For only P115 per copy, you may now get a National Bureau of Investigation (NBI) clearance and use it for any transaction where it is required, here in the Philippines or abroad. 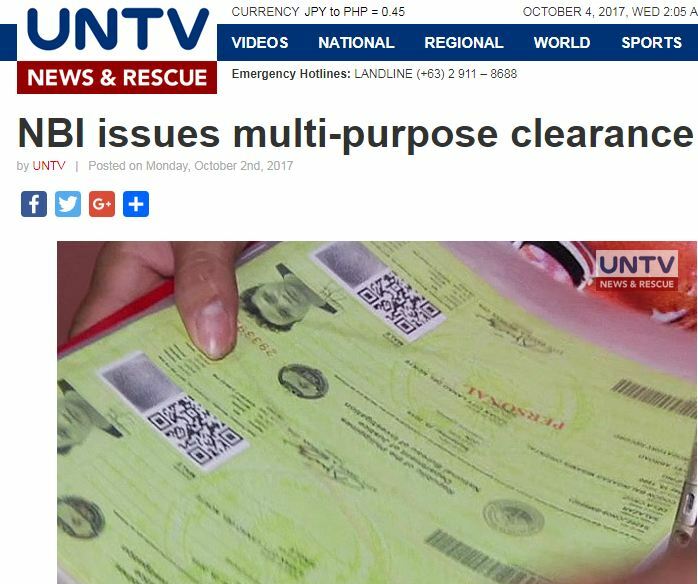 This new NBI clearance is called "multi-purpose" and will be valid for a year. The NBI has started releasing this "multi-purpose" clearance last October 2 and it is "all-in-one", meaning, you can use it for a job application, gun license, visa and for traveling abroad. According to NBI Director Atty. Dante Gierran, this is a response to President mandate to simplify the transaction in the government. NBA Information and Communication Technology Division Executive Officer Welerme Haplasca Jr., said, this new NBI clearance is applicable to all-purpose. One more thing, this multi-purpose clearance is renewable according to NBI-Information and Communication Technology Division Deputy Director Atty. Jojo Yap. In addition with this, it is easier now to process "hits" for NBI clearance, since a "hit" person may appear once to clarify the issue without additional fees. A "hit" appears when a person's record has a namesake or pending criminal case.